The creative team for The Attic, The Pearls, and Three Fine Girls are revisiting the fun of childhood as they rehearse their upcoming play. 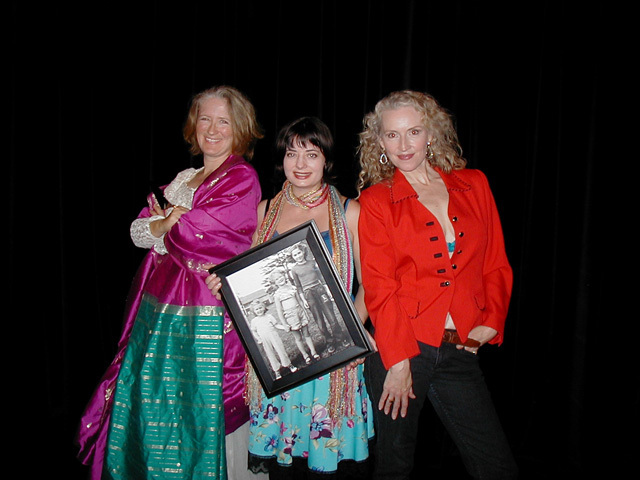 The team chose the play on the strength of its script, co-written by author Ann Marie MacDonald (Fall on Your Knees; Good Night Desdemona, Good Morning Juliet) with four other Canadian women. 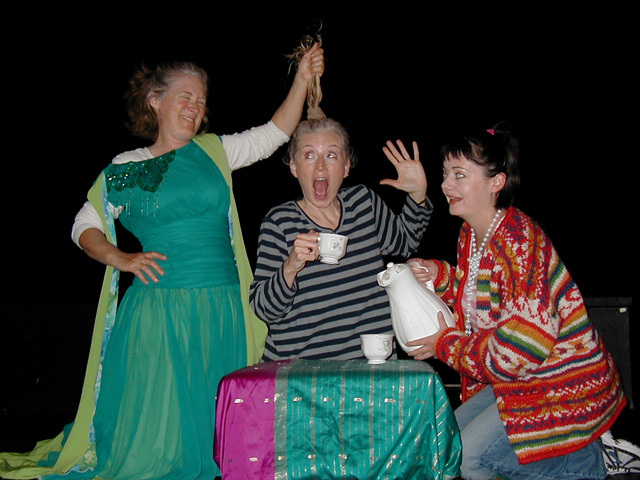 “It took a few years to find a script that was a worthy follow-up to our previous productions of Marion Bridge,” says Smyth. 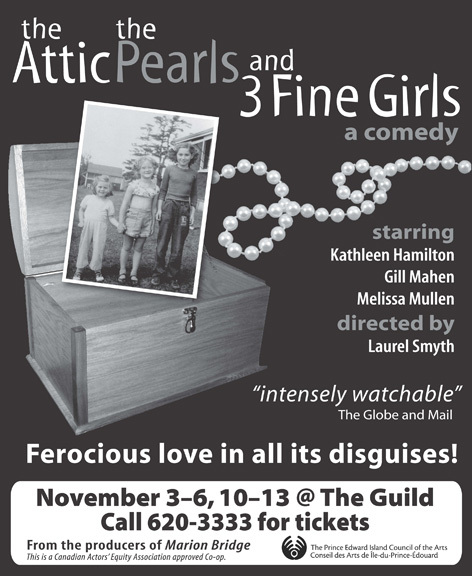 The Attic, The Pearls and Three Fine Girls plays at The Guild on November 3, 4, 5, 6 and November 10, 12 and 13th. Enter your email address to subscribe to the WWW blog.